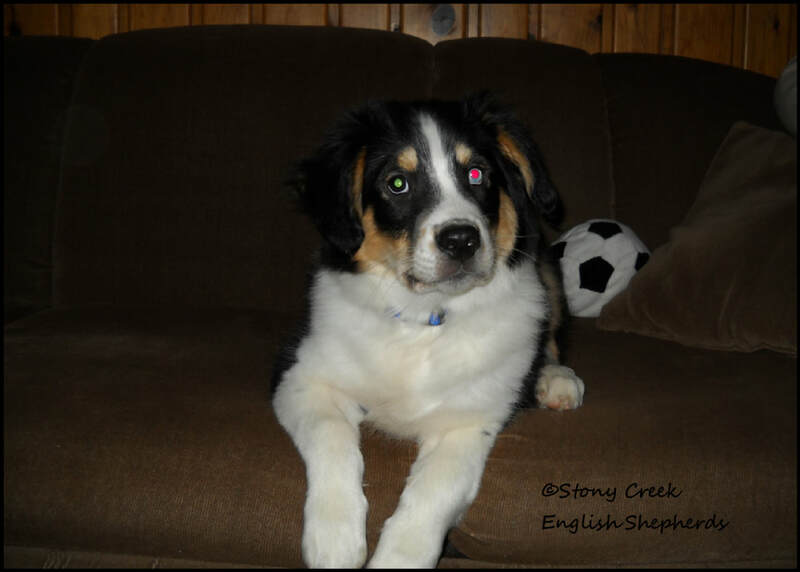 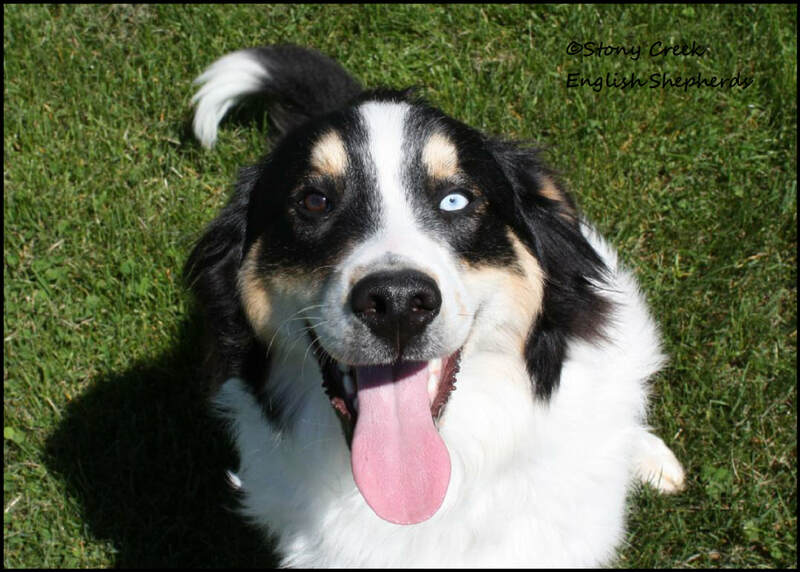 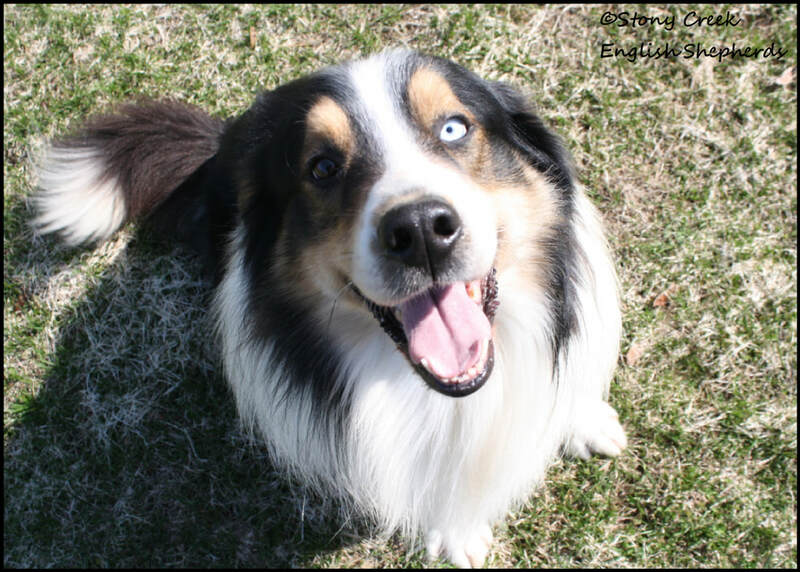 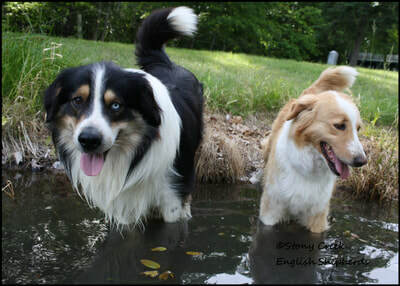 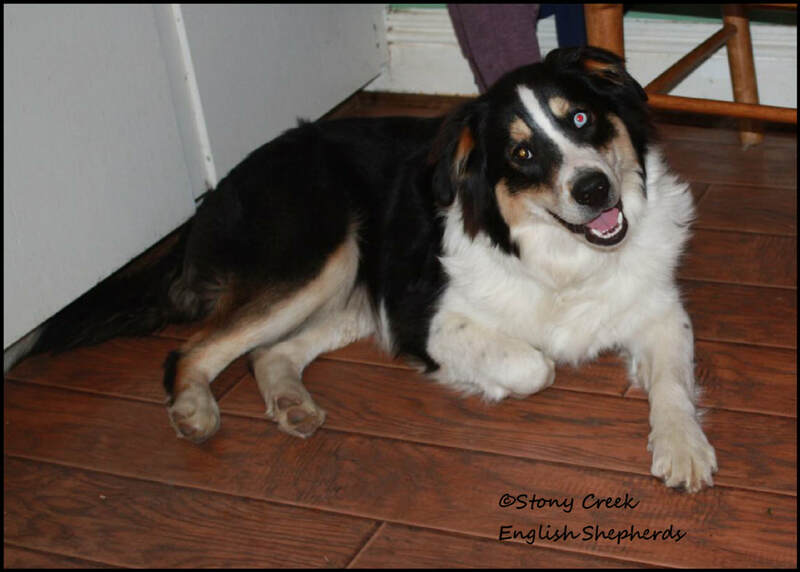 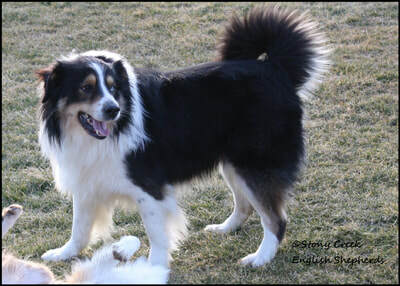 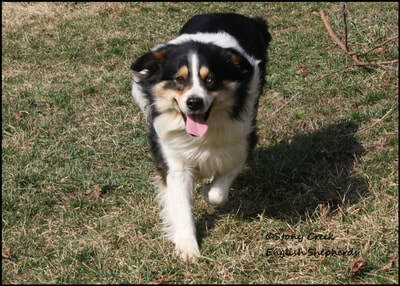 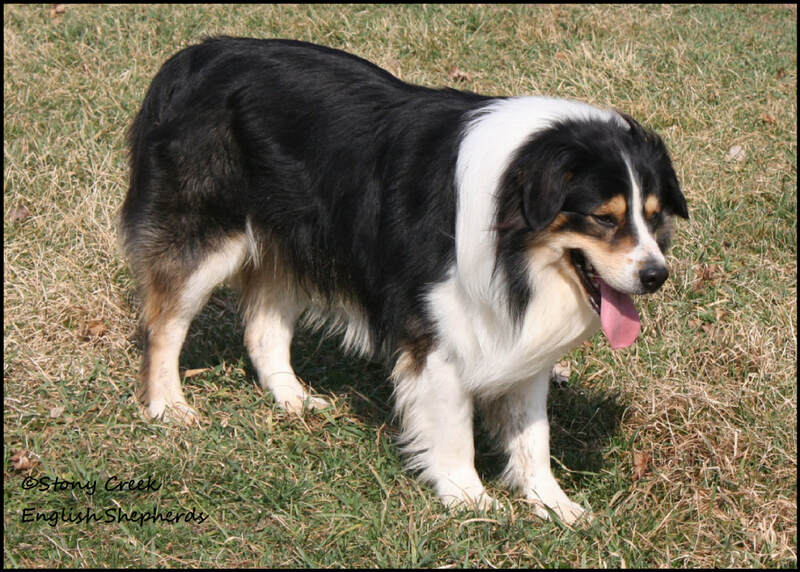 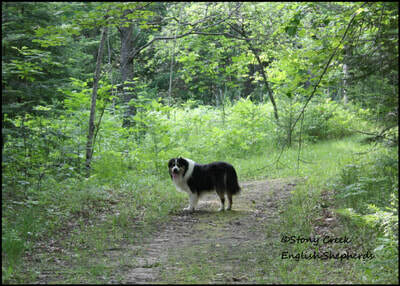 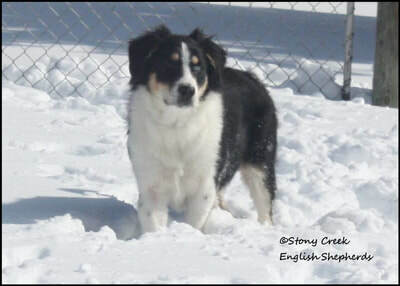 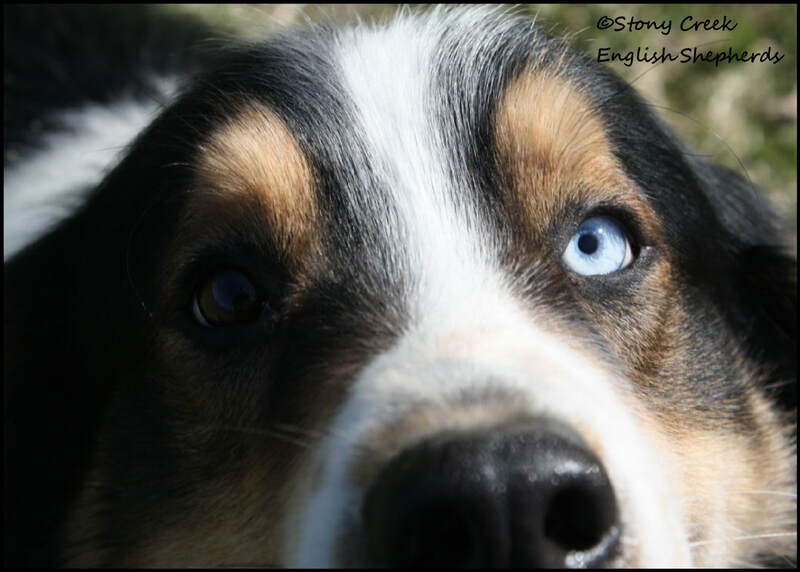 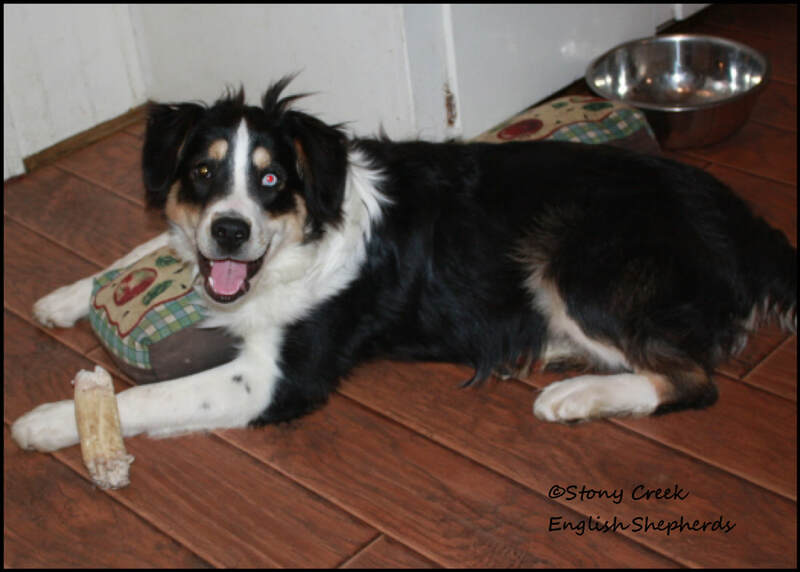 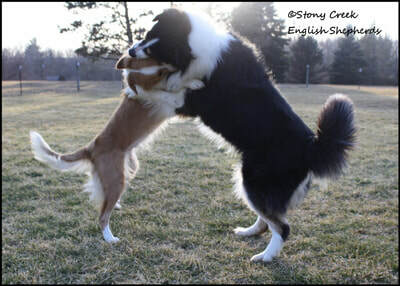 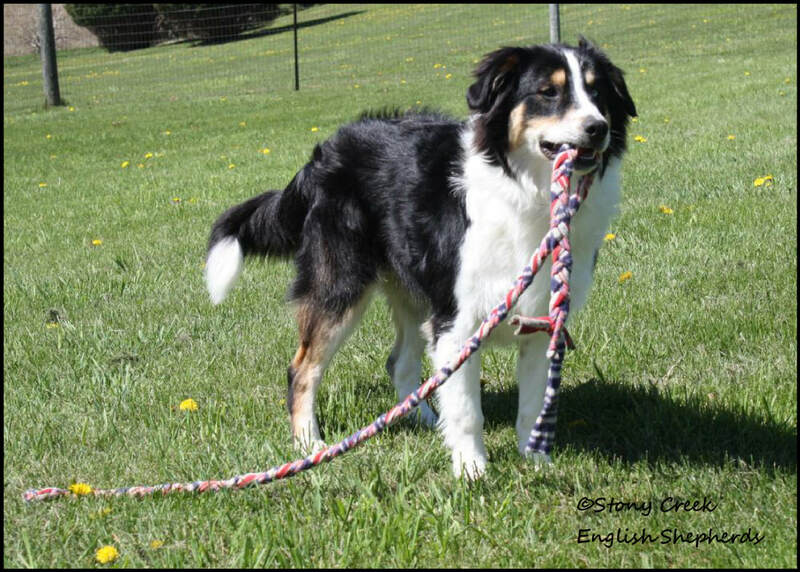 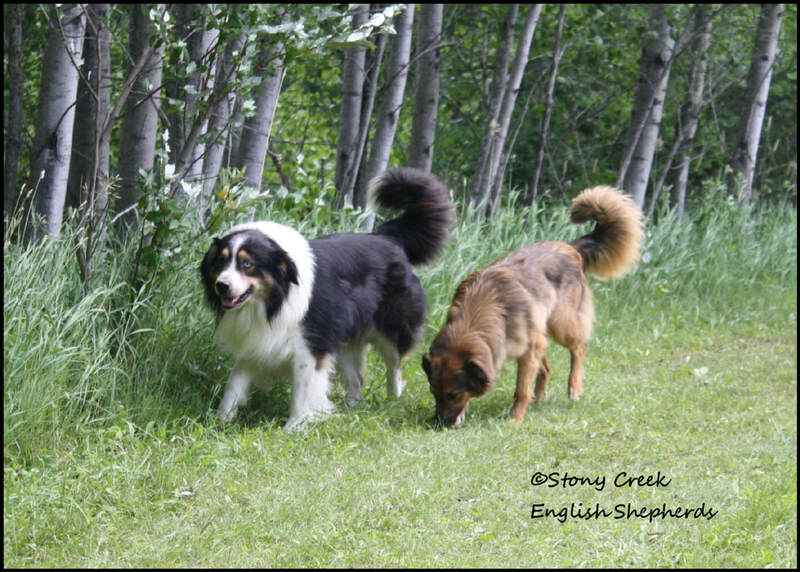 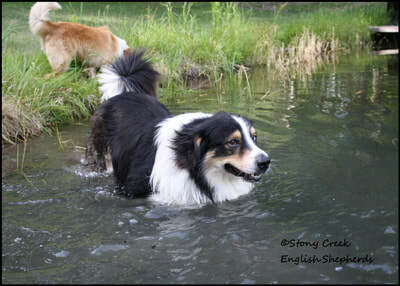 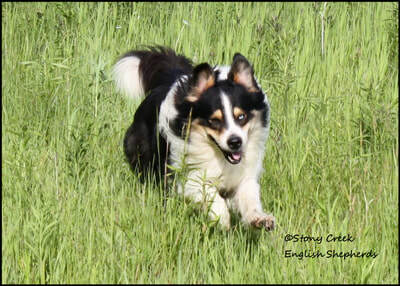 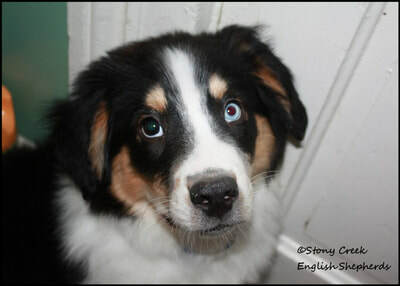 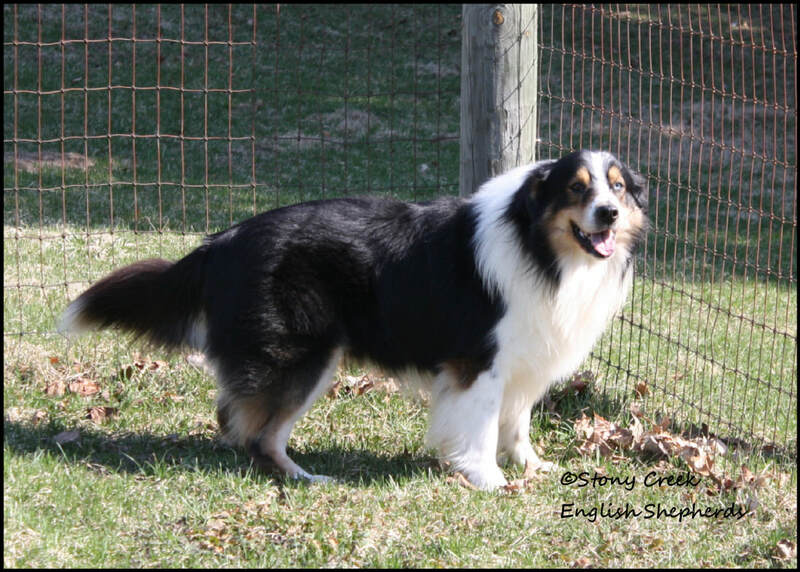 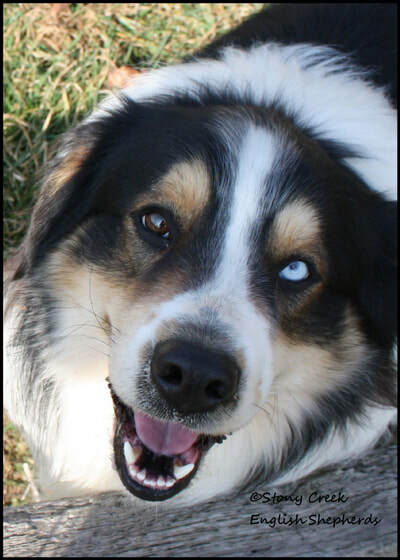 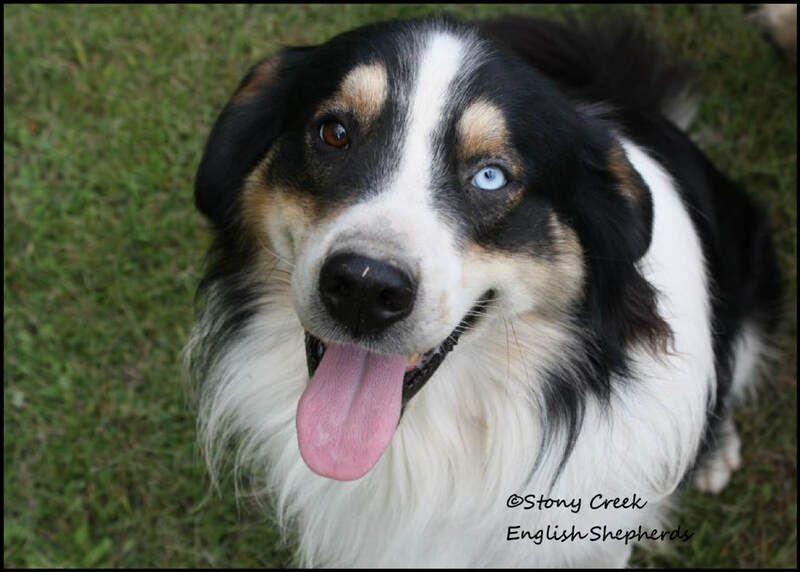 Jake was a 65-70 pound Tri color, watch eyed (one brown & one blue eye) boy with traditional Irish markings. 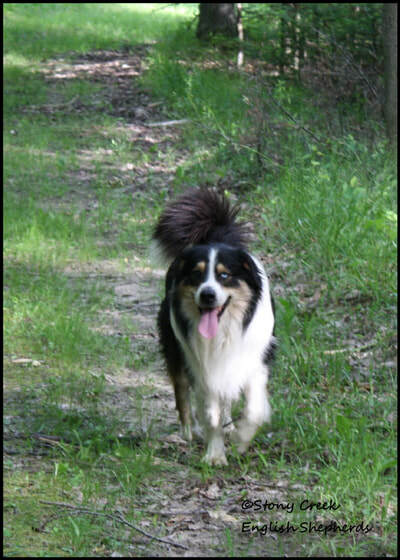 He was very smart, docile, & got along with everybody. 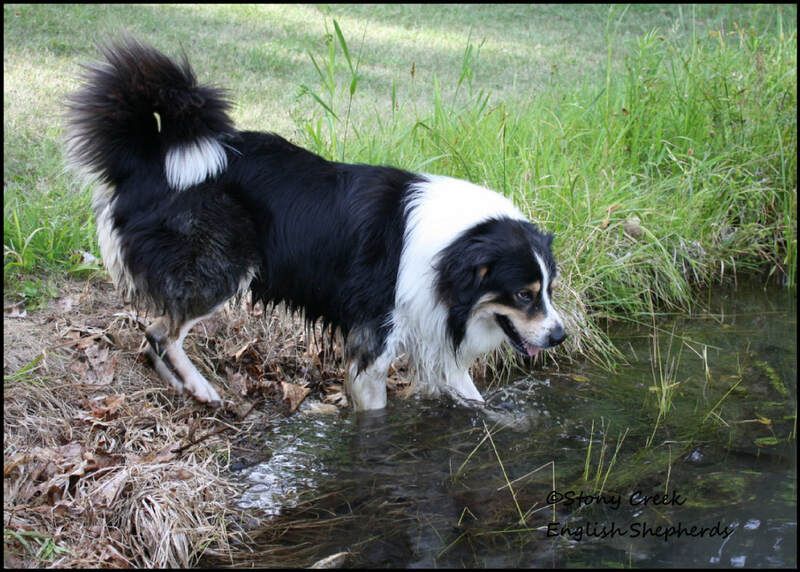 Jake was athletic & extremely social & loving. 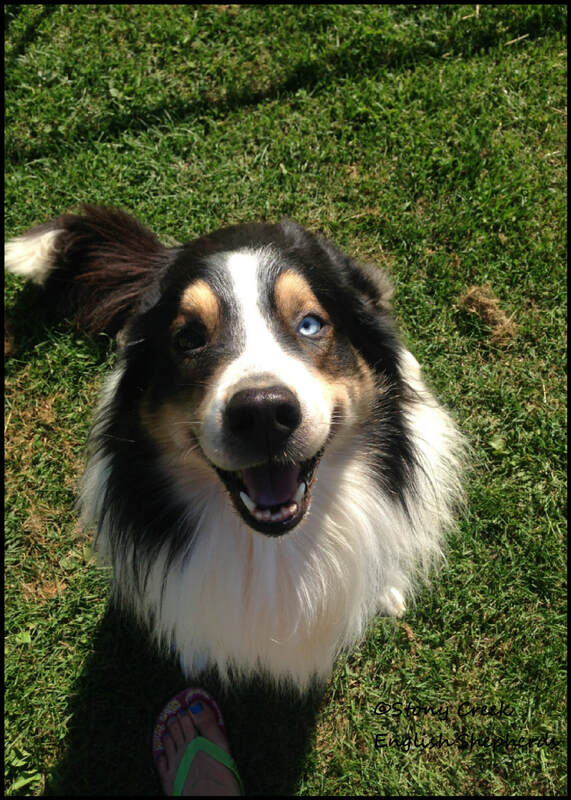 Jake was such a special boy. He was quite a character with a very happy go lucky attitude and we are heartbroken by the sudden loss of him. 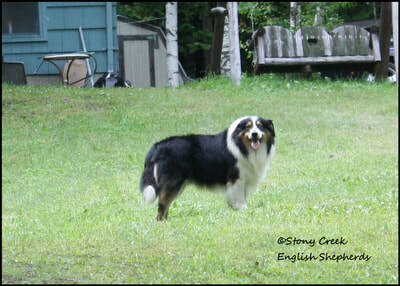 He was always excited to see us and was quite a talker when he needed to be heard. 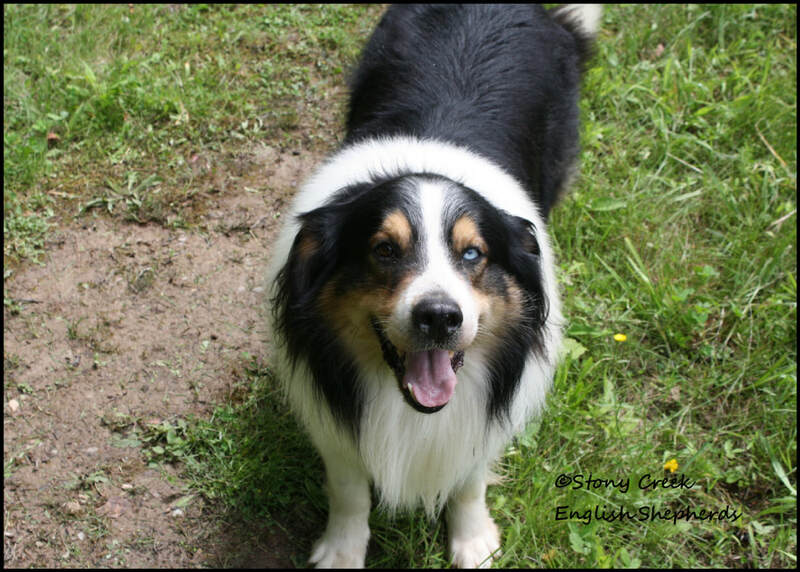 He was enthusiastic, funny, and a gentle soul. 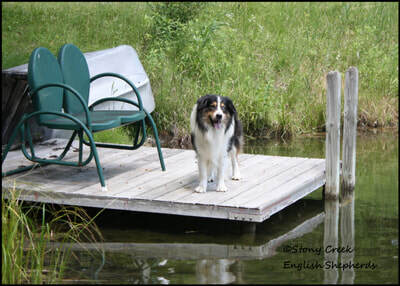 Though Jake was only with us for a short time, he touched and changed our lives, as well as those who are blessed to have his offspring. 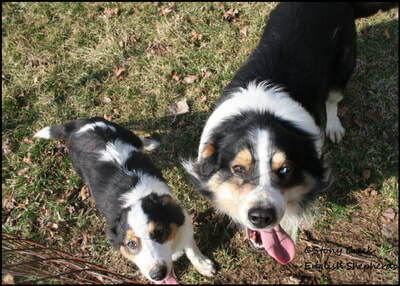 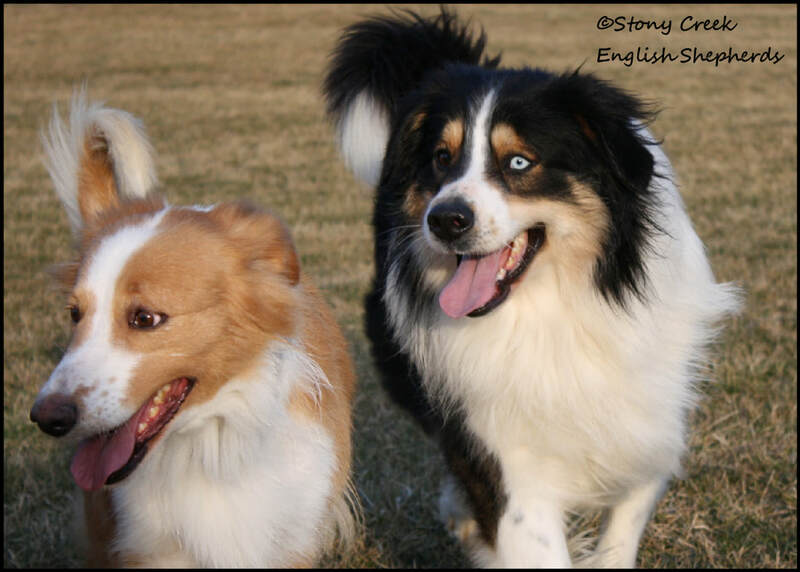 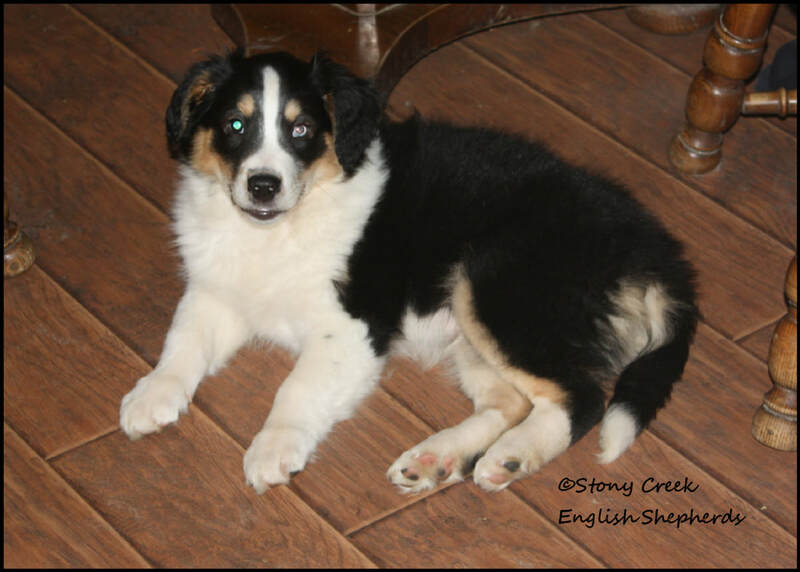 Jake sired our "II" & "OO" litters & Irish Wind's "A" & "C" litters.